In the mood for love? 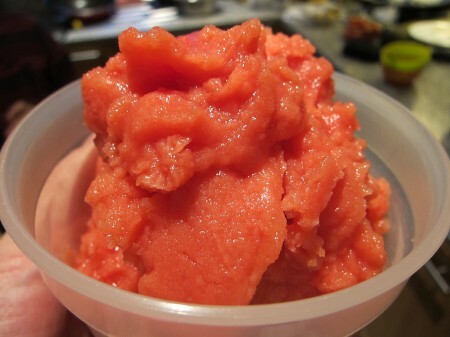 If so, what better way to celebrate Valentine’s day – or, indeed any day – with some dazzlingly red Blood orange sorbet? 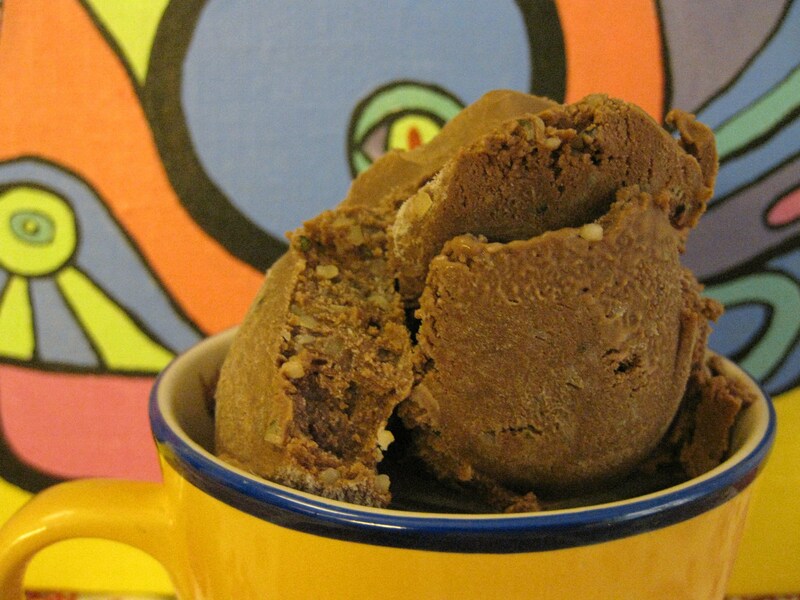 And while love may not always be so easy, I can assure you that making this sorbet is! Many of you probably know that making a sorbet usually requires a simple sugar syrup as a base, then mixed with whatever flavour you desire. However, when the main flavour ingredient is a liquid containing a lot of water (like blood orange juice), you can skip adding extra water and just base the sorbet directly on the flavouring liquid itself. Yes – that is right: you only need to add sugar to the fruit juice! Could it be simpler? This sorbet is not overly sweet (the kids liked it anyway!) and for all us lovers of blood oranges, it is a real treat – fitting both as part of an elaborative menu, or just to be enjoyed on its own. That said, remember the golden rule – the quality of your sorbet will directly depend on the quality of the ingredients you use. While the making of this sorbet hardly could be easier, it is very important that you get hold of the best possible blood orange juice you can: preferably fresh, possibly squeezed by yourself, and in any case, without added preservatives which tend to impair the fruit taste. If fresh fruit is difficult to get hold of, take heart in the fact that canned good quality juice actually works very well too! I used flash pasteurized blood orange juice (= what you see in the pictures here) and the result was splendid:-) . If you don’t have an ice cream machine and want to still-freeze the sorbet using your freezer, go here for some advice. This recipe does not contain massive amounts of sugar, nor any alcohol, and is likely to freeze rather hard. 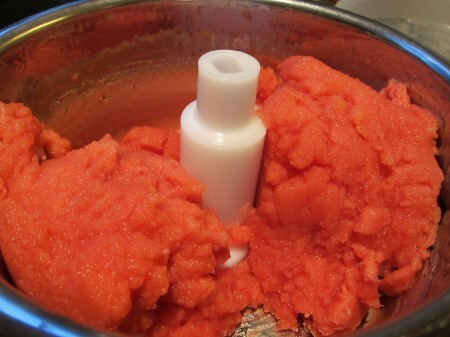 I would therefore recommend that you enjoy this sorbet soon after making it. If you desire to store it in the freezer for a somewhat longer time, you might want to add a slightly whisked egg white to the sorbet during the churning. Of course, you might also add some neutral alcohol, or replace part of the sugar with inverted sugar (such as corn syrup, agave nectar or honey) in order to get a softer, less hard-frozen sorbet. Personally, however, I tend to stick with the simple ‘fruit juice plus sugar-only’ recipe. I adore the fresh, delicious fruit flavour of the blood oranges themselves – and the sorbet tastes great right after being churned, so why wait? Open your best-qualitiy-available bottle of blood orange juice, or juice fresh blood oranges - measure up 750 ml (3 cups). Put the sugar in a saucepan and add a little juice (just a small amount, in order to have some liquid for the sugar to dissolve in). Heat, stir and let the sugar dissolve. This should take almost no time at all. Stir the sugar-juice mix into the rest of the juice. Chill thoroughly. Churn in your ice cream maker according to instructions - be careful not to over-churn! If you don't have an ice cream, still-freeze in your freezer as described in another post on this blog:-). If using the egg white: take a fork, beat the egg white loose and add it to the sorbet after 10-15 minutes of churning (and then continue to churn until ready). 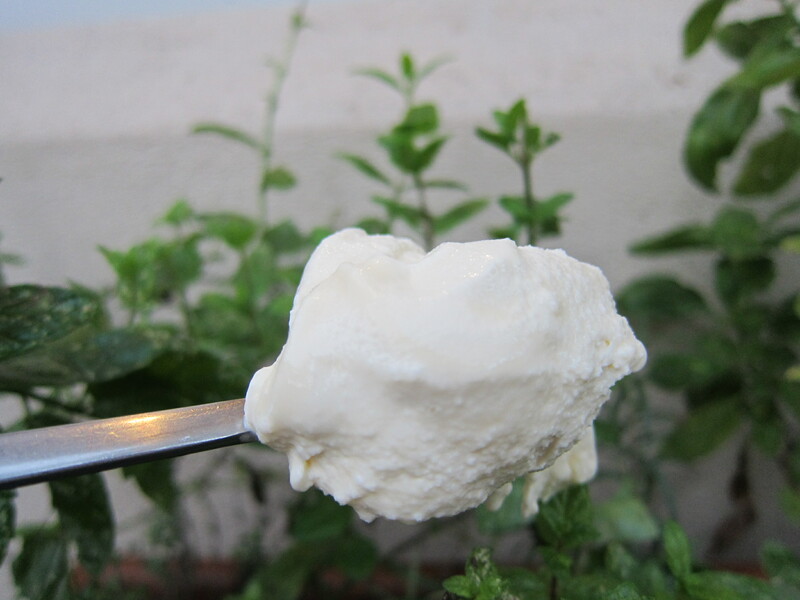 If you don't have an ice cream machine and still-freeze, add the egg white when the sorbet base has become almost firm for the first time (probably after 1-1½ hours in the freezer). While you can exclude the egg white, it will add to the structure and stability of the final sorbet. 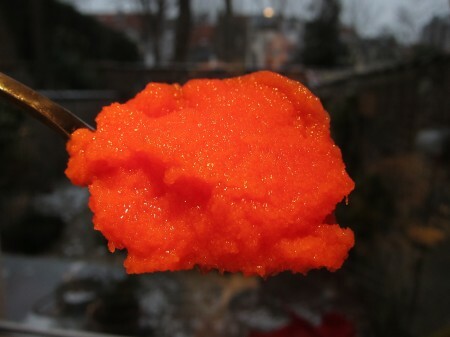 However, if you - as is recommended - plan on enjoying the sorbet right after it has been churned or very soon thereafter, you might as well leave out the egg white. Other means of getting a softer, not so hard-frozen sorbet include adding a little neutral alcohol (like vodka) or replacing some of the sugar in the recipe with inverted sugar (like corn syrup, agave nectar or honey).